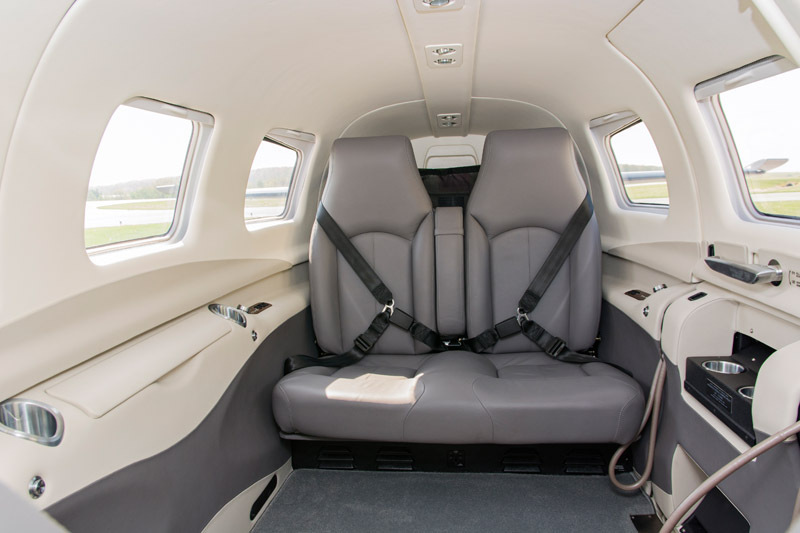 2016 Piper M350 N690ST is a stunning aircraft boasting a range of safety features, such as the Garmin Enhanced Autopilot Flight Control System (AFCS) with Level Technology and Underspeed Protection maintaining positive control, a Hypoxia Recognition System with Automatic Decent Mode ensuring safety at high altitudes, on-board weather RADAR to positively navigate around convective weather, and more. It also features a newly designed interior that is not only functional, but striking. Click here to view this aircraft’s full specs and click here to view the video. Categories: Blog | Tags: 2016 piper m350, Aircraft, aviation, FOR SALE, inventory, M350, Piper, piper for sale, piper m350, Skytech, and Skytech inc. This entry was posted on Thursday, May 5th, 2016 at 11:13 am. Both comments and pings are currently closed.